I address here, the issues of morality, using a communication received from an angry BBX Member not only showing him up for the hypocrite that he is, but how immorality takes over when we blame others for what is our failing. 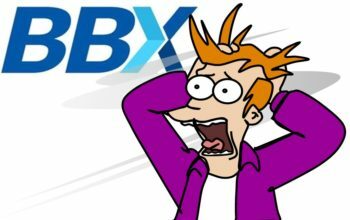 BBX International blames the whistleblower; then BBX members blame me, the messenger and everybody wants somebody else to pay for their mistakes and greed. According to simple logic, this is all wrong, immoral. In a previous post I showed how a communication from Carolin MacDonald, CEO of BBX International falsely accused the ex BBX Thailand Franchisee of crimes. I lambasted her for this. Such defamation is illegal for good reason. Trying to take down a person doing the right thing to cover up for your own wrongs is just downright evil, it’s wrong, bad, ugly, horrible, which ever way you look at it. But there’s another way that things can go pear-shaped in the moral department, and it is the way that self-interest and greed influences ones thinking so that we blame others to cover up for our own foolishness and mistakes. I show this next communication in full; give my damning commentary and then name this man so that people can prove my claim that he is a hypocrite. Oh FFS! Wake up you fool! All I’ve done is shown you the evidence and you got a gripe? Talk about shooting the messenger! Let’s address your points. The first one is actually correct. Yes among thousands and thousands of words giving accurate damning analysis and commentary into the Bartercard scam, it is true that I did predict their demise. This will come, of that I am certain – their business is failing, losing cash, members down, turnover down, propped up by a dodgy IPO, one Director gone with his golden parachute and another two desperately cooking things so that they too can get their cash out of it before it goes. I learned from those few words I wrote predicting things . . . sometimes people are bigger suckers than I thought. Now, when it eventually does go down, will you apologise to me? Doubt it! Next you talk about Ormita. So what’s the point? This conman travelled the world on the backs of suckers who all bought into his conman’s spiel. I tracked him down; exposed him (in realtime) and then put pressure on his techo partner to pull the plug on the fraud that it was. Got a problem with that? I don’t and neither did IRTA at the time either – one bad boy gone from the industry – yay! “Most of them” meaning BBX members? What about the hundreds who have responded saying “I can’t spend!” and “Nobody wants to accept my BBX Trdae Dollars!” and “What do I do?” and “Help me, I think I’ve been scammed!” Look sir, I don’t care a rat’s behind what “most” people in your immediate circle of cronies think. If they trade with a debased currency (down to 1.7c in the dollar in my country and not much more in yours) and if they expect to get their money back when the balloon goes up then they are fools. Common knowledge said the earth was flat and the centre of the universe. It also burned witches at the stake. It also believes the BBX BS that a BBX Trade Dollar was worth something like a Cash Dollar. It’s not. I’m an independent thinker. I work with facts, engage brain and have the balls to speak it, fearlessly, despite what naysayers like you say other people say about me. Now to your final salvo, telling me to get off my bike pinging trade exchanges and to get real . . . when I know and understand what these crooks are doing, in an industry that I care about, then I will be riding my bike as hard as I can, thank you very much! The little people and the honest ones REALLY appreciate what I do. They don’t make a lot of noise, but they come to me quietly behind the scenes and thank me and encourage me. Now, it’s also people like you (and IRTA) that cover for these crooks that motivate me to drive their demise even harder. By wasting the space with your ludicrous drivel here, you have struck an own goal because having seen how gullible you are, I am more motivated than ever to bring these crooks to justice so that you and people like you are no longer able to sponge off others’ backs. It’s a waste of time me telling you to check the facts, so I won’t. You and reality obviously rarely coincide. Oh and you forgot to mention the other trade exchange I pinged, you know, the Dutch one that went belly up owing half a million Euro? The one that IRTA covered up for for over two years because they had one of their directors on IRTA’s board at the time? Remember Tradeqoin and The Qoin Con? What are you going to say to the many dozens of people who invested on Symbid and lost it all – 50,000.00 Euros all up in fact? Some people took note of my blogging and saved their investment from certain loss. They are the smart ones . . . clearly not you when you have a credit in the BBX AU system for nearly $3k! OMG! Now the truth can be seen why your spiel here. You are going to lose it buddy and I’m sure as eggs sure that you will not be taking any more trade dollars in your restaurant discount club following publication of The BBX Investigation. Guaranteed. You’re a hypocrite or a fool, just shooting the messenger when you only have yourself to blame for your losses. Go back to the crooks who got you into your pickle and ask them how you can get out because the way I see it your credit is just about worth Sweet FA. You want me to get more “real” than that? To everybody else I say, “What a loser!” Get’s himself in the poo with a dud exchange, builds up a huge credit, can’t spend it and them blames me for telling the world it’s a fraud! The writer of these comments (Kevin) has almost $3,000.00 in credit within the BBX system. He failed to disclose that self-interest because he surely doesn’t want to lose it, so he has a hidden agenda as he writes. He has followed me for several years – it is 2017 and I commenced The Ormita Report in Q4 2013 – so he has no excuse for not understanding things within dodgy barter exchanges. He represents and communicates with other BBX members who “most of them” see me negatively, thus he is a self-proclaimed centre-of influence. He wrote to me and identified himself with a comment on a public post. He did not seek confidentiality. Kevin, you are named and now shamed. People who want to clear their credits should go to Kevin Toner from The Dining Club and seek to offload their BBX credits, that is, if he is still trading and if he’s still taking BBX Trade Dollars as a form of payment . . . In my next post I get specific with BBX staff and employees. Deception for personal gain is a crime in New Zealand. Other jurisdictions too have similar laws. I warn all employees of BBX International of the consequences of their active role in conducting fraudulent commercial activities and will be VERY specific. Modern central bankers concoct the most complicated, elaborate plans to engineer economic victory. Their success depends on being able to precisely control the [sometimes irrational] behavior of hundreds of millions of consumers, millions of businesses, dozens of foreign nations, & trillions of dollars of capital … There is no room for error.